According to EA, your Origin ID will no longer be called that, and will be renamed simply as your EA account. 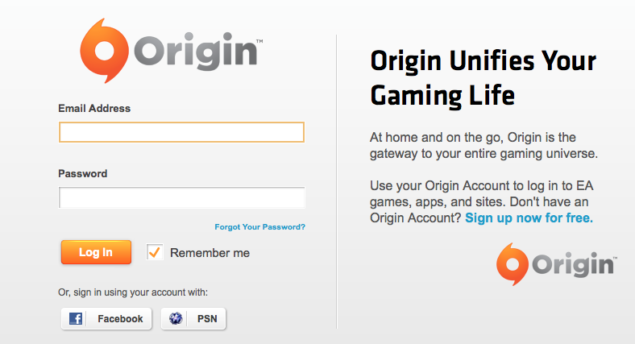 EA wants to simplify their brand by renaming the Origin ID to just an EA Account. The change should go live within the coming weeks, and is a way for EA to better embody all of the services and different games you have. This centralizes the labeling with which all of their services are under. Nothing else is changing aside from the name, so anything you use the Origin ID for will simply have the phrasing changed to “Log-in with your EA account,” instead. Everything else will be absolutely the same. Originally EA released their EA Downloader in 2005 which was eventually updated to be EA Link and thus evolved into the modern day Origin that debuted in 2011. It’s used as the exclusive digital distribution platform for all of EA’s first party published games. It’s required for the Battlefield series and also will be for Star Wars Battlefront. It’s been a very controversial platform almost since it’s inception. Does anyone use Origin for any games that aren’t exclusive to it?